The new Dutch government pursues a rigorous climate policy to achieve the objectives of the Paris climate agreement. GHG emissions must be reduced by at least 20% in 2020 and 40% in 2030, compared to 1990 levels, while emissions have dropped by 12% in the Netherlands. 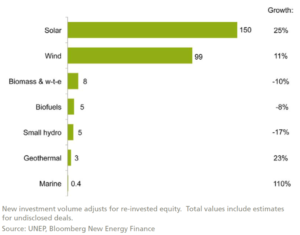 These targets imply a large-scale transformation of energy supply, housing and industry. In this post I will share my vision on the substantial role of water in the global energy transition. Surface water and groundwater are key sources of heating, cooling and thermal energy storage systems. Hydropower reservoirs and water systems will be used as flexible batteries and flexible power consumers. And tidal power and salinity gradient power are predictable renewable resources. Despite the record breaking low prices and investment records for new solar and wind projects, electricity is responsible for only 20% of the energy mix. 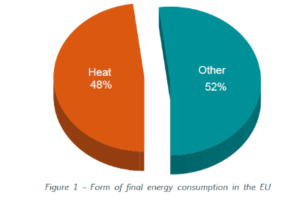 Heating and cooling are responsible for 40% – 50% of the primary energy consumption. Therefore renewable heating and cooling solutions are essential to reduce CO2 emissions globally. Water is an important ingredient to meet the demand for heating and cooling. Final energy consumption in 27 EU countries. Source: RHC – Renewable Heating Cooling, Common vision for the renewable heating & cooling sector in Europe. Shallow geothermal wells (aka Aquifer Thermal Energy Storage, ATES) consist of two wells at a depth of 50 to 200 m. They are used for large-scale seasonal storage of low temperature energy and provide heating in winter and cooling in summer. A well-designed shallow geothermal system may save 50% to 70% of CO2 emissions, compared to conventional heating cooling solutions. The ATES technology has become the preferred solution in the built environment in the Netherlands due to the favourable subsoil conditions. 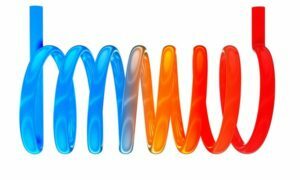 One of the key drivers for a successful geothermal system is the balance between the heating and cooling demand, which may be achieved by connecting different kind of buildings to the ATES system or by connecting another source. Surface water is a great natural solar collector, it may supply heat in summer to the hot well of an ATES system or it may deliver cooling in winter to balance the shallow geothermal wells. Surface water air-conditioning (SWAC) uses cold water from the deep sea or a lake (e.g. former sand pit) or another water body to cool buildings directly or to serve as a source of a water-cooled chiller unit. The energy cost of SWAC is only 10% of a conventional airconditioning system, which in fact uses the hot outside air for cooling. Therefore, SWAC is a much more CO2 friendly solution than conventional airconditioning in southern Europe, the Middle East and tropical countries. SWAC may be even more attractive in combination with a shallow geothermal system to take advantage of seasonal temperature variations in shallow water bodies. I’m convinced that groundwater bodies and surface water will be used more intensively as large-scale seasonal thermal energy storage, despite the fact that capital intensive district energy systems are required for delivering heating and cooling to customers. The benefits do outweigh the investments costs in a life cycle costing analysis. The share of solar and wind power will continue to rise and so does the unbalance in the power grid due to the poor short term predictability of these renewable power sources. Greening the energy mix requires stabilising measures for the power grid. More efficient storage of electricity and derived energies. Excess energy may be stored in pumped storage hydropower reservoirs or in thermal energy via heat pumps and electric boilers (Power-to-Heat). More predictable renewable power. Tidal power, salinity gradient power and hydropower are renewable resources that are more predictable and controllable than solar and wind power. More flexible power management strategies. 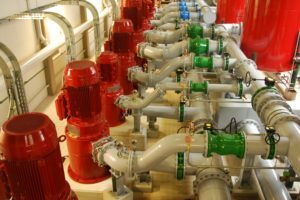 Since water systems are designed to cope with rather extreme events, the available storage in many water systems can be used to balance the power grid most of the time. These flexible management strategies combine the hydrological forecasting with electric power demand and production forecasts to optimise the operation of the hydraulic structures. Such an operational optimisation is not only interesting for a cascade of hydropower stations, but also for polder pumping stations. The latter is currently demonstrated in a national pre-competitive joint industry project with water boards and energy companies in the Netherlands (slimmalen.nl). Renewable heating and cooling solutions are essential to reduce CO2 emissions. 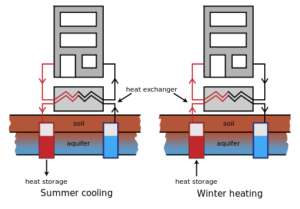 In this post I showed that surface water and groundwater are key sources of heating, cooling and thermal energy storage. Furthermore, hydropower reservoirs and water systems will be used as flexible batteries and flexible power consumers. Finally, tidal power and salinity gradient power are predictable renewable resources. All this makes water crucial in the energy transition, replacing oil in the future energy mix!